Upgrade your style routine with new Fructis Style pomade, putty and cream that come in liquid-formats. 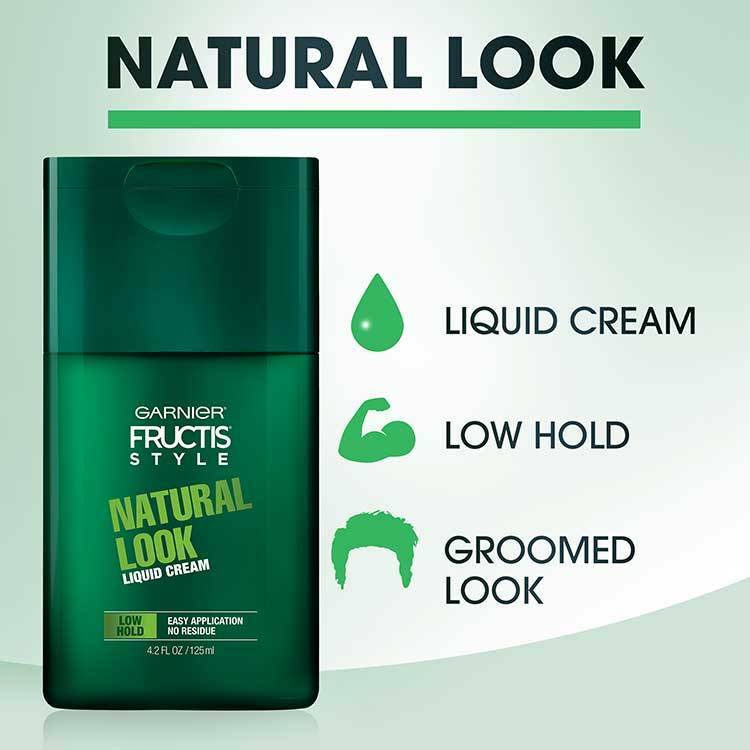 Fructis Style Natural Look Liquid Hair Cream for Men is a liquid-format hair cream that gives you a groomed look and low hold. 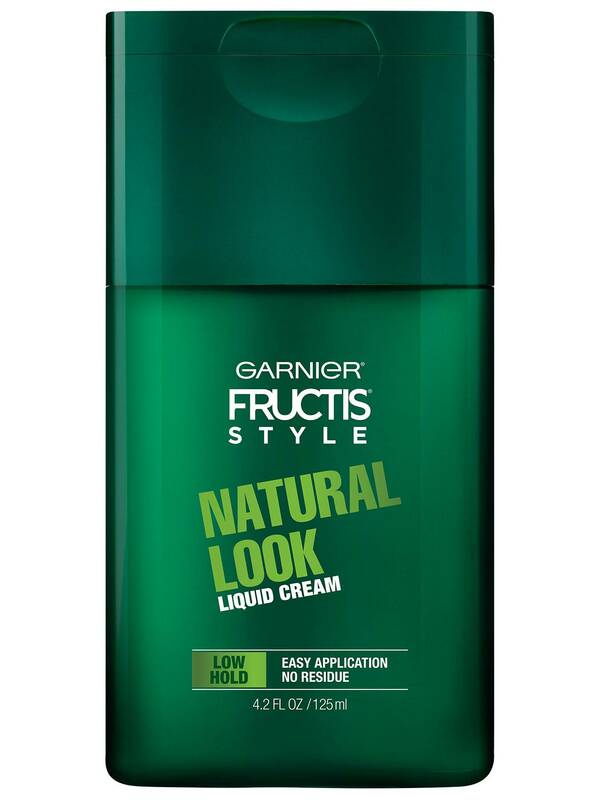 Garnier Fructis Style Natural Look Liquid Hair Cream for Men makes application easier than ever, and gives you a no residue, clean touch for 100 percent clean style for with an upgraded routine. Fructis Style for Natural Look Liquid Hair Cream Men upgrades your style routine by giving you all the hold with no messy application, no grease or clumps, no dosage mistakes, no build up, no residue, and no drying alcohol. Upgrade your routine with Fructis Style pomade, cream and putty that come in liquid-formats. For best results use on damp or dry hair after shampooing with Fructis Grow Strong Cooling 2in1 for Men. 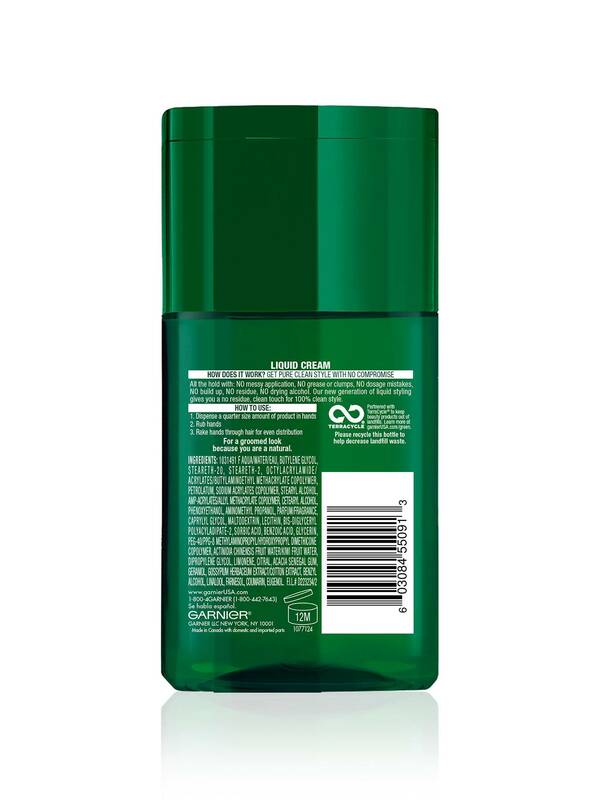 Dispense a quarter size amount of Fructis Style Natural Look Liquid Cream for Men in hands, rub hands together, then rake hands through hair for an even application and a groomed look. Rated 5 out of 5 by Fox777 from Best hair product ever ! I tried this with great results in multiple styles. Up and down. Kept flay always down and my hair was soft and smooth. No sticky residue or anything like that. I liked the scent a lot. Rated 4 out of 5 by euridicealinneresend from I like this product, but I expected more... I think it's OK if you have a normal skin. You have to use it!!! Rated 4 out of 5 by David in the desert from I liked this product. I am not used to using hair products but I did like this one. It was easy to use and made my hair look great with no flyaways and not greasy. Rated 3 out of 5 by Mamito10 from It's ok My 13yr old used this. I helped him the 1st couple of times... It's really sticky, but works good and doesn't make his hair feel crispy.